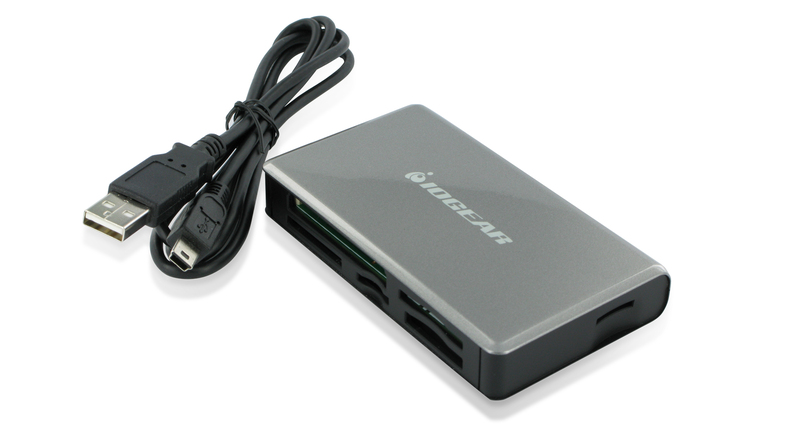 IOGEAR's newest Universal Memory Bank, 56-in-1 Memory Card Reader/Writer, is an ideal solution for hi-speed, bi-directional image and data file transfer between your computer and multimedia devices. Images and data can be downloaded directly from your memory cards*. 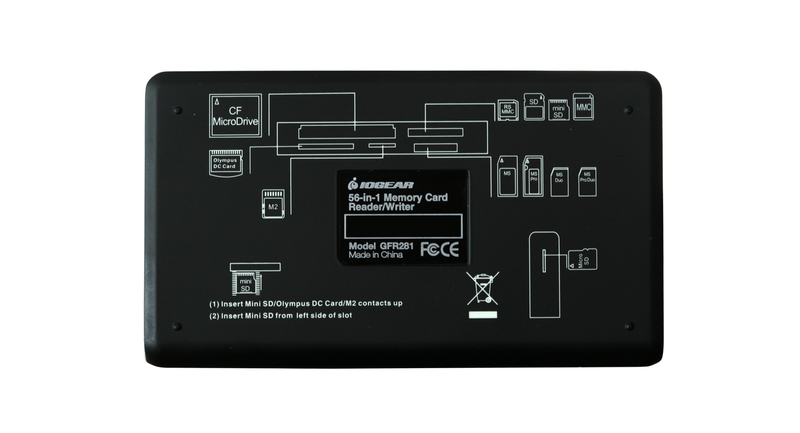 It works with all major memory card formats and supports high capacity: CompactFlash/Micro Drive, SD/SDHC/Mini SD/MMC, Olympus and Fuji Film flash memory, T-Flash/microSD/ microSDHC, Memory Stick/MS Duo, Memory Stick Micro (M2). With direct USB 2.0 high-speed file transfer (up to 480Mbps) from memory cards used in your digital cameras, cellphone, or MP3 devices, you can save time and conserve power on devices. It also instantly transfers your slotMusic™ songs to your PC or Mac. 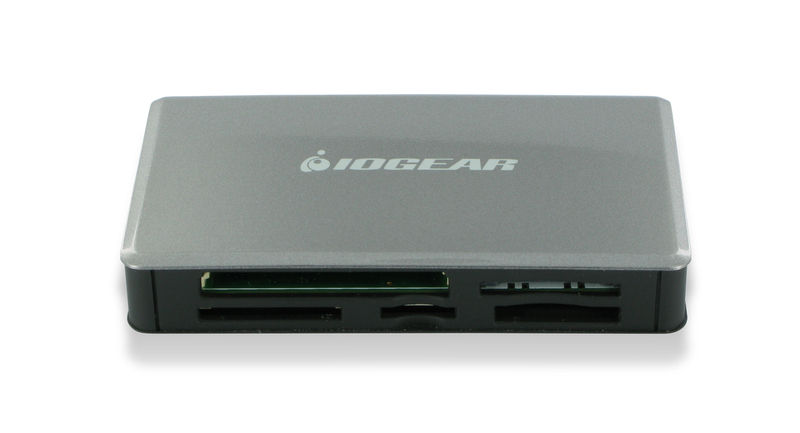 No matter where you go, IOGEAR's Universal Memory Bank helps you to easily bring your digital images and data with you. ** Supply of this implementation of TPL’s CORE Flash technology does not convey a license nor imply a right under any patent, or any other industrial or intellectual property right of TPL, to use this implementation in any finished end-user or ready-to-use final product. You are hereby notified that a license for such use is required from TPL. 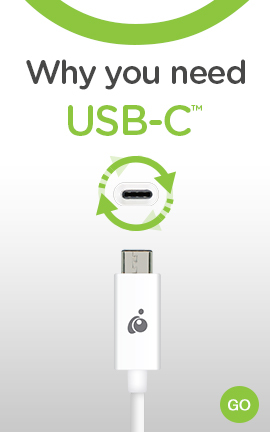 Contact: “coreflash@alliacense.com"
USB 2.0 transfer speeds up to 480Mbps. Drive letter recognition software can be downloaded from "Driver & Manual" section. 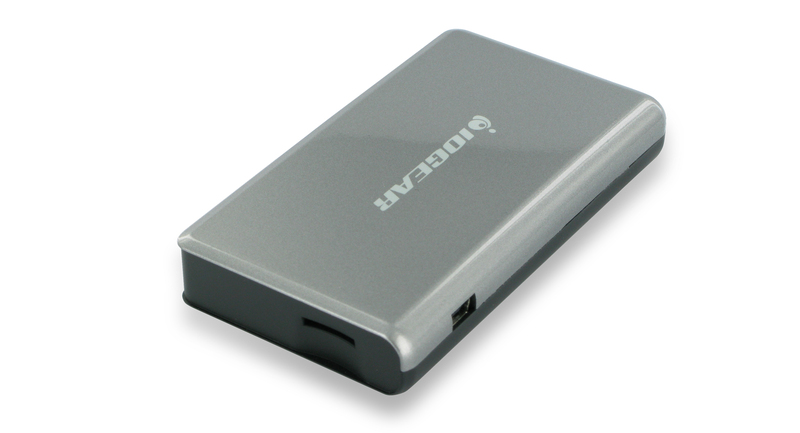 The software can replace confusing icons with memory card slot icons for easier access. Master Carton Wt. 11 lb. Inner Pack Wt. 2.6 lb. Unit Pack Wt. 0.5 lb. Unit Wt. w/accessories 0.28 lb.